From the introduction: The Ordnance Quick Fire 2-pounder gun was was designed by Vickers as an anti-tank cannon and a 40mm tank gun. In October 1935 Vickers presented new platform design that was accepted as Ordnance QF 2-pounder Mark IX on Carriage Mark I (in this case Vickers was faster than the R&D team of Woolwich Arsenal). A limited number of guns were produced in 1936. The platform/base of the gun was an innovative three legged design. In transport position one of the legs was used to tow the gun with the other two legs stowed. In deployed position all three legs were placed on the ground and the wheels lifted off the ground. Woolwich Arsenal continued to improve the design and following tests adopted an improved Mark II platform that was better than that of Vickers. The platform was conceptually similar to Mark I, with the exception of the wheels that had to be removed when the gun was in deployed position. This platform was also later prouced by Vickers. This unique design provided good stability to the weapon as well as 360 degree range, which provided rather quick deployment from transport position. The disadvantage of the 2 pounder were higher profile and heavier weight which was almost double when compared to the German PaK 36. Despite these disadvantages, the gun was successfully used during the 1940French and North African campaigns. 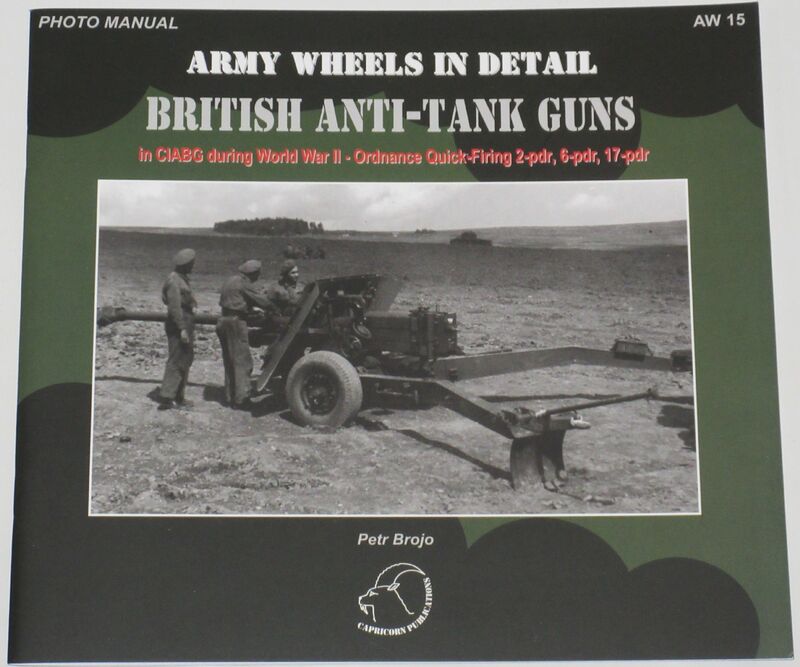 The book is packed full with colour and black and white photographs of the guns (many being close up shots of various parts of the guns themselves), and their are explanatory captions to each of the photo's - with all text in both English and Czech.